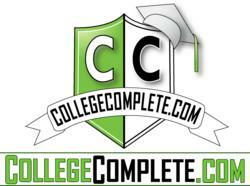 As a part of the North Shore School District’s program to give students real world experience, Joe Rovegno will be joining CollegeComplete.com with the intent of learning brand marketing from one of the fastest growing companies in the country. Joe is a seventeen-year-old high school Senior at North Shore High School in New York. He has already started on his path learning marketing on his own through his YouTube channel that has over 600,000 views. Joe reviews exclusive sneakers to show his viewers the differences in materials and colors and to give the viewer an angle of how the shoe looks when being worn. On top of his internship with College Complete he is also a part of the marketing team for his school's nationally ranked Robotics team. A lot goes into building a robot and entering it into contests, so Joe’s role is to promote the team and to try to gain sponsors who could help the team out monetarily or technically. He has made sponsorship packets and brochures to hand out to potential sponsors. Joe also works on promotional aspects of the team, such as designing giveaways like stickers, buttons, and anything that could be handed out to spread the word of team. Joe has been interested in going down a business path for a while now. Little did he know, he has been doing marketing ever since he made his YouTube channel and started to upload videos in 2009. He makes sneaker review videos, showing off some of the most exclusive and limited shoes to others just like him. Joe's channel has gotten popular enough for YouTube to play preroll advertisements on his videos, where he makes a small cut of the money. With this incentive, he works tirelessly to ensure his videos are seen by as many viewers as possible. His YouTube success has led him to meeting great people and being offered great opportunities. For example, Joe is a writer for blog website SoleTron.com, owned by Jets wide receiver Santonio Holmes. Joe's passion for sneakers has taken him a long way. Currently, Joe is in the process of applying for colleges, noting that his dream college is the Northeastern University. Less than a year from now, he hopes to be living in Boston and majoring in Marketing. During college, he would like to complete a co-op program with a shoe company. In the long run, Joe wishes to work for Nike on their marketing team. Since the birth of Joe's channel in 2009, it his grown to over 4,500 subscribers and has had over 600,000 views. You can check out Joe's sneaker reviews at http://youtube.com/jjjumpman23.